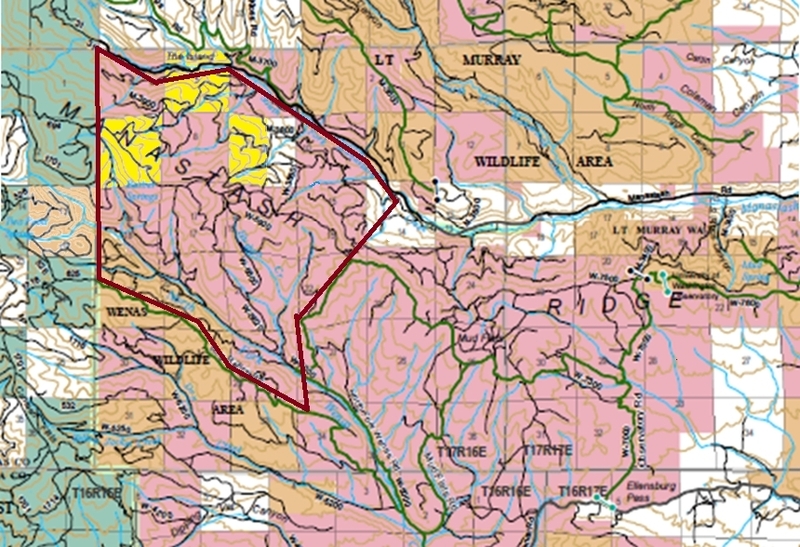 LT Murray Green Dot Road expansion includes Barber Springs & Hudson Mt on Manastash Ridge. 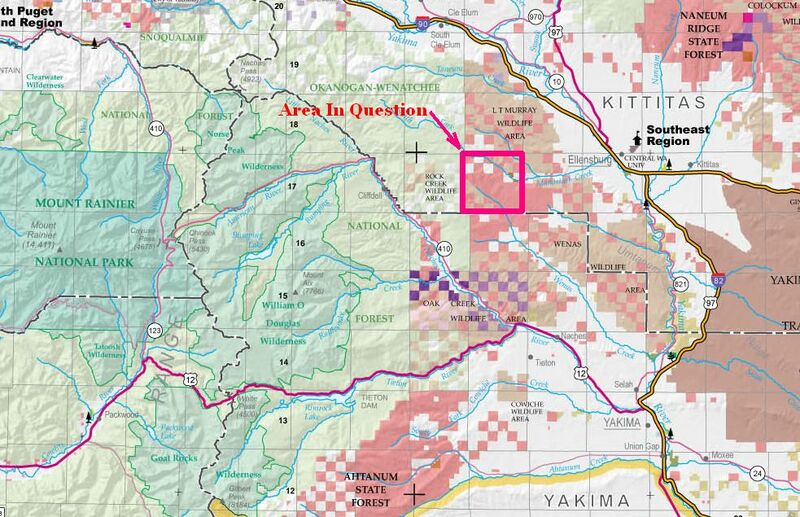 "Green Dot Road Expansion with no roads Green Dotted in the Expansion Area"
This means the normal access roads to National Forest Lands & Trails west off FR 1701 are closed to vehicles from the North & East Sides. The only access from Ellensburg is to go around to the Wenas and go up the Hog Ranch Road. The other access would be go up Bald Mt. Road from 410 & out FR #1701. None of this area is posted as a Green Dot Road Management Area. Please see the attachment, that describes a conservation opportunity/need that is very closely linked to the Rock Creek/Bald Mountain "Heart of the Cascades" project your organizations spearheaded. If you have any questions, or suggestions, please reply to this email, or call me. Thanks for your consideration of this opportunity. Mike Brathovde met face to face with DNR Regional Manager (SE Region) Todd Welker and DNR Alpine District Manager (Ken McNamee) in Ellensburg. Watch for meeting highlights to be posted soon. Mean while we are collecting support from other users. Mike met with officers from the Pacific North West 4-Wheel Drive Association at their 2013 Winter Convention. The PNW4WDA will support us in our endeavor to maintain wheeled access within the Green Dot System in this area. L.T. Murray is closed to all human entry (not just motorized vehicles) due to our winter elk feeding program. The closure starts mid-December and runs until May 1st. Does this mean I have been illegal when I snowshoe in there ?? ?